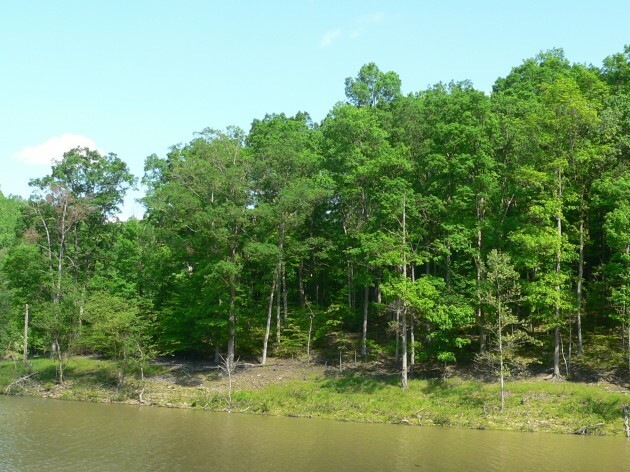 A small portion of the property, five acres, is separated from the rest by an inlet of the lake, and is only reachable by boat or a hike through the HNF. The main parcel has frontage along County Line Road. There is no parking area, but visitors are welcome to park along the side of the road (at your own risk). Siblings Glenn Gardner, George Gardner, Philip Gardner, and Virginia Kelley donated the property to Sycamore in 2012. They had inherited the land from their parents, Austin “Bud” and Mary Ann Gardner, and named the preserve in their memory. Bud and Mary Ann purchased the land in 1983. 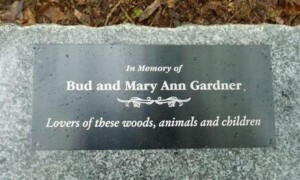 In 2011, the Gardner family installed a stone bench on the remote five-acre parcel in memory of Bud and Mary Ann. For those adventurous enough to find it, the bench provides a place of contemplation in the quiet and beauty of nature.